If you follow my youtube channel then you may have seen the results already since that video went up a couple days ago. I did it!! 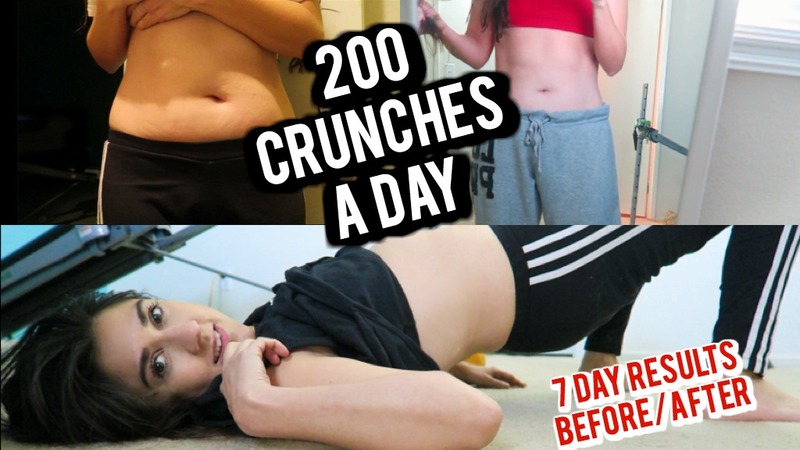 200 crunches every single day for 7 days! It wasn’t easy…but my viewers kept me going! It’s crazy what the body can do …and to think this was in a week! It’s not overly dramatic with a 6 pack but I see improvement which is why I am continuing with another 7 days! !